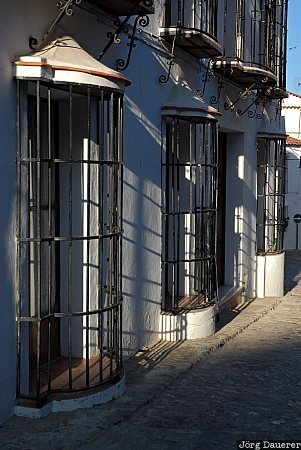 Typical metal grid covered windows and their shadow in the Pueblo Blanco (white city) of Grazalema in the heart of the Sierra de Grazalema, Andalusia, Spain. This photo was taken in the evening of a sunny day in April of 2008. This photo was taken with a digital camera.